This poignant lyric is a perfect description of my ongoing love affair with Follies, a relationship now strengthened exponentially after viewing the lavishly produced and gloriously detailed National Theatre production. The massive space of the Olivier Theatre houses a staging rich in period detail. Even the air itself seems to have a tinge of sepia tone. 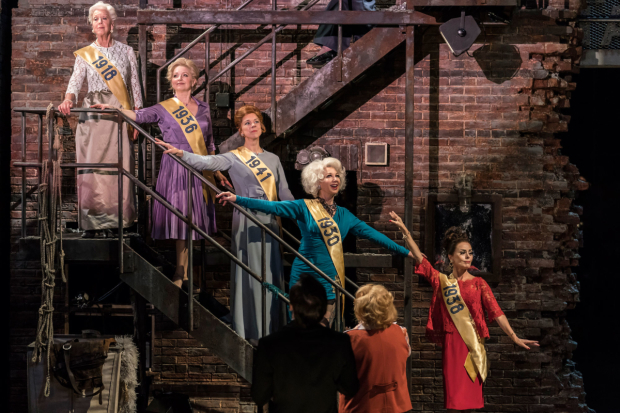 On a scale not possible in commercial musical theatre, a cast of 37 and an orchestra of 21 bring the cherished show roaring to life, at once a warm bath of nostalgia and a dazzling piece of entertainment in its own right. 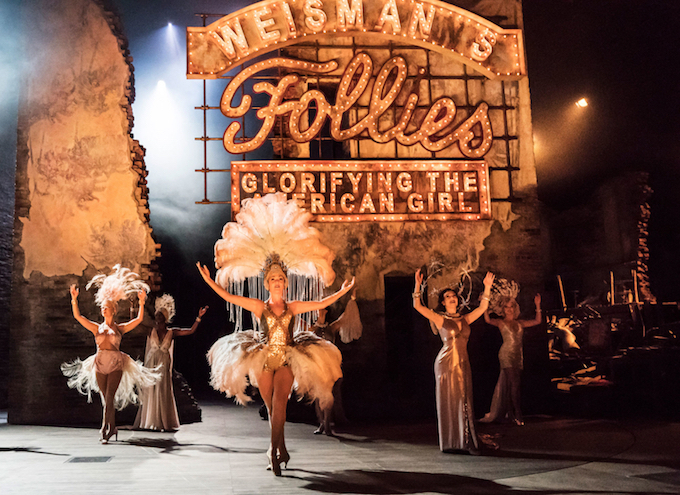 Dimitri Weismann gathers the beautiful girls of his Follies, staged each year between the Wars, for one last party on the site of their condemned theatre. Director Dominic Cooke wrings all possible pathos from the presence of the younger ghosts, positioning them with artful grace and ramping up the subtext of the adults’ regrets with their reaction and interaction. Early focus is aided by playing downstage of two enormous decaying set pieces, before removing these for a broader canvas in the second half. While some of the early party chatter of James Goldman’s book always seems rather twee, the use of a camera interview team and the flow of the revolve keep the action moving briskly along. 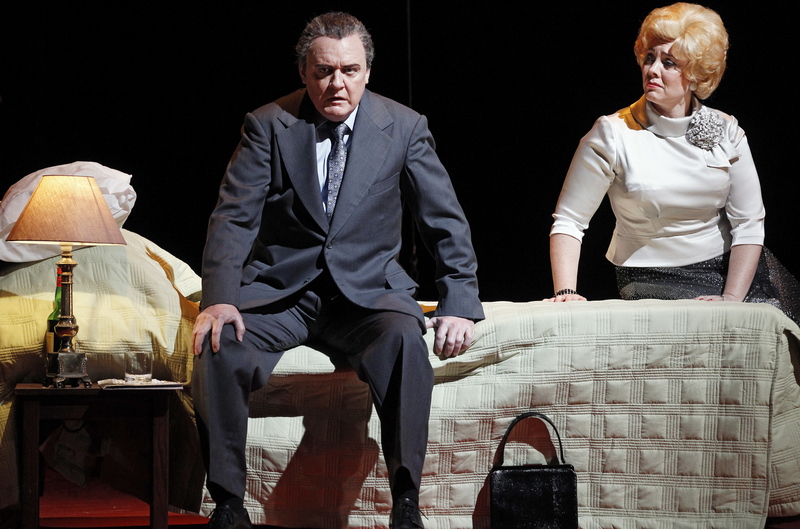 Stephen Sondheim’s score, a deft combination of the plaintive and the pastiche, is heard at its best. Choreographer Bill Deamer reproduces the period in all its gracious glory. “Who’s That Woman” is a spectacular showstopper and “Ah, Paris!” benefits from the inclusion of two cheeky male dancers. “The Story of Lucy and Jessie” is made crystal clear with the Phyllis and Young Phyllis paired in black amidst the pastel-toned dancers. 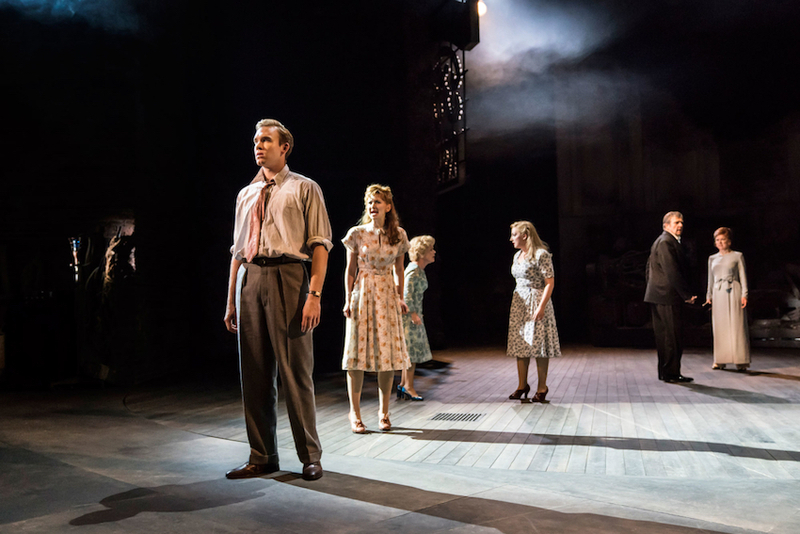 Zizi Strallen (Young Phyllis), Alex Young (Young Sally), Adam Rhys-Charles (Young Ben) and Fred Haig (Young Buddy) are not just perfectly cast as young versions of their adult counterparts but are each excellent performers on their own right, more than holding their own alongside the highly experienced lead cast. 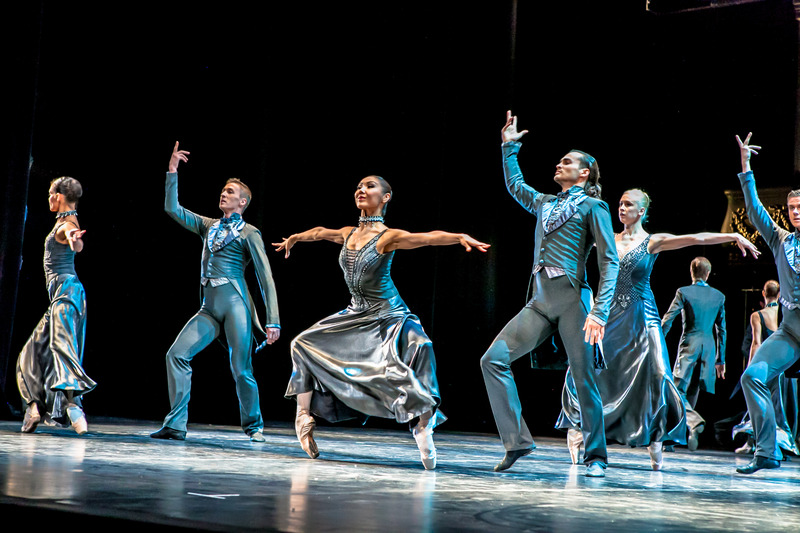 Strallen, in particular shines in dance, and Rhys-Charles conveys the emotional heft of Young Ben’s indecisive philandering and gnawing ambition. Alison Yanger (Young Heidi) delivers a glorious soprano in “One More Kiss,” alongside the delicate, well preserved vocals of Josephine Barstow (Heidi). Peter Forbes crafts a characterisation that is deliberately difficult to watch, with Buddy’s ill-based conceit and delusional romantic bravura evident to all but himself. The luxurious singing voice of Philip Quast is a bonus given the strength he already brings to the smug but self-dissatisfied Ben. An exceptional dancer, Janie Dee carries herself, as Phyllis, with the chilly poise of a deeply unsatisfied trophy wife. Dee’s acid-tinged delivery is sharp, and her performance of “Could I Leave You?” Is as much a showstopper as any dance number. 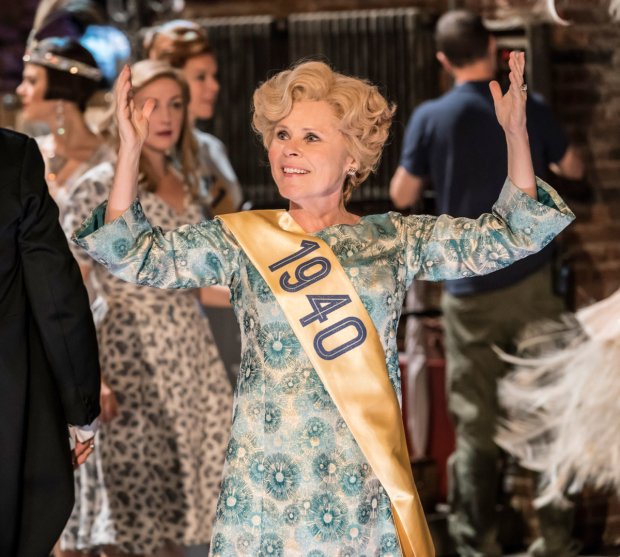 The jewel in the crown, Imelda Staunton is absolutely heartbreaking as Sally, a woman so insecure she sees her past colleagues as celebrities who are out of her reach. Withe Sally the first to arrive at the party, Staunton immediately grabs our sympathy and affection and never lets go, heightening our fully engaged protective instincts as layers of Sally’s self-delusion and romantic desperation are revealed. 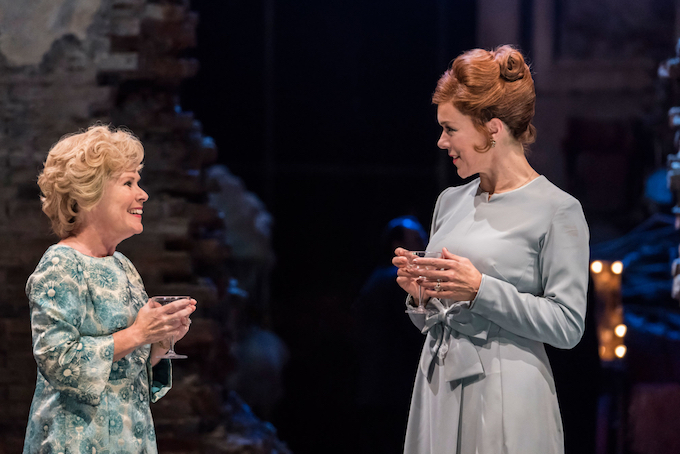 Follies was reviewed 7.30pm 1 January 2018 at Olivier Theatre, London, where it plays until 3 January 2018. 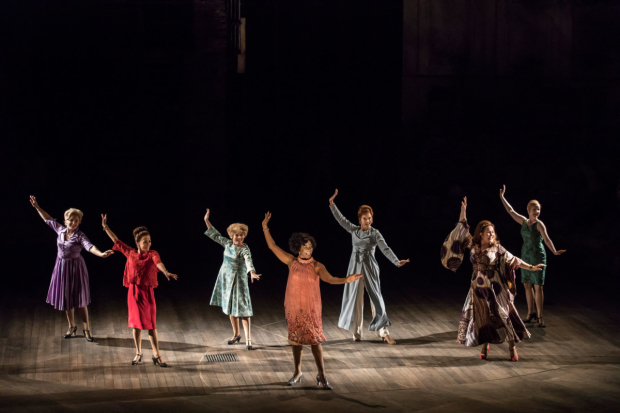 The NT Live presentation of Follies will be screened in Australian cinemas from 17 February 2018. 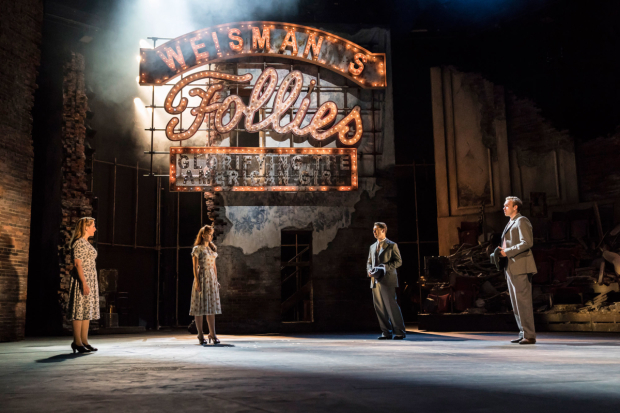 Viewed Follies NT Live today at the Nova. Sensational record of the production plus a delightful Sondheim introduction. This seems to to me to be the sort of treasure that NT Live was created for. What a gift to theatre lovers around the world.